These podcasts are extremely helpful tools to learn bite-sized scenarios. They really aid learning and understanding, everything is explained clearly and is delivered in a calm simplified manner. Podcasts such as "How to scrub in", "How to tie a surgical knot", and "Shortness of breath" all go a long way to crystallising difficult subjects and suddenly I find myself thinking, "maybe medicine isn't all that hard". Leading on from the student section, is the slightly more doctor-focused BMJ site. The website is well-organised and the content interesting and relevant. It often features topical interview and debates with key players in the medical field. The podcasts are divided into numerous categories including Emergency Medicine Journal, Heart podcast, STI treatment, Gastroenterology, among many others. If you are looking for more in-depth knowledge, these podcasts are for you. Dr Jonathan White, a professor and surgeon at the University of Alberta, decided to make ten to thirty minute podcasts of his lecture material in order to reach his students at different levels. This series of 35 entertaining and concise lectures are seriously good. They cover subjects ranging from Diverticular Disease to Aortic Dissection. Can't recommend them enough. Podmedics is a useful site, namely for its vid-casts, podcasts with video as well as its audio files. It is usually ranked number one in video medicine and 2-3 out of "all" (audio and video) medicine on iTunes. It is a new site, but has over 100 podcasts up already. They are mostly clinical revision pieces and with such a large choice, a podcast can be found to suit whichever topic interests. A broad knowledge base of science and technology and the current advances in these fields is important for us to have as future doctors. This podcast series is perfect for anyone with an interest in research, oncology, microbiology and pharmacology as it is often in these fields the most exciting advances are being made and this podcast covers them with gusto. 60 Second Health gives weekly 1 minute report on the latest health and medical news. The hugely popular MedPod 101 is described on its site as being "Designed by chic doctors for the busy medical student looking to enrich her clinical acumen". It delivers clinical medicine titbits with a healthy dollop of cheesy humour. It is intended to be for more entertaining purposes rather than cramming sessions but the fun of it is refreshing, and it definitely helps to stick those facts in your head. It is rife with stereotypes and what some would consider bad taste. Avoid if easily offended. This impressive podcast was released to a bare Irish market a few months ago and although more advanced that what Irish medical students require, anyone with a penchant for surgery should subscribe immediately! The 30 minute magazine style podcasts delivers the latest information about clinical practice ad surgical technology with its focus on Ireland's current trends. It features a case and image of the week, Journal Club and spotlight on surgery and surgical technology. Interestingly, surgeons can receive CPD accreditation for viewing the podcast and submitting assignments based on the case of the week, showing the technological direction medical education is headed in. 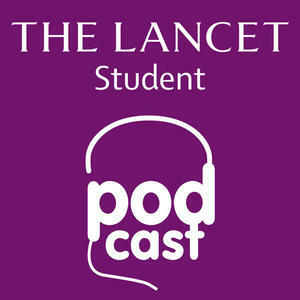 The Lancet is one of the world's best known, oldest and most respected general medical journals and with these podcasts comes a review of each week's most important peer-reviewed articles with discussions and debates on the tenuous points made. The depth of the content and speed of delivery is on the mark. The student section deals specifically with global health, sociology and life at the coal face of medical practice through interviews from a brilliant range of subjects. These include first-hand accounts from junior doctors, foreign students, and students on elective, aid-workers, authors and professors amongst its 47-pieces. When writing this piece I questioned my North American counterparts on podcasts they listened to and this was suggested by many. Produced by the American College of Cardiology, Dr Adolph Hutter asks the tough questions in these 20 minute topical discussions. Each conversation is a fast-paced discussion between leading experts in cardiology. Although more targeted at practicing doctors this podcast received unanimous praise. Upon listening, it is obvious the lively content is at the top of its game. The series of podcasts by Dr Goljan was my favourite of the list. The main aim of these podcasts was to publish recordings of mastermind experts in various medical education fields and also educate students and doctors on the topic of burnout. The listener is recruited into an active role to increase awareness about medically underserved populations, sources of stress in medical students and interns and efforts to remedy the imbalances. It's important for us all to strike a good work-life balance, something which can fall by the wayside when studying most hours of the day. This podcast reminds us there is more to life than your job and to keep a healthy mind in the midst of attaining your medical degree.